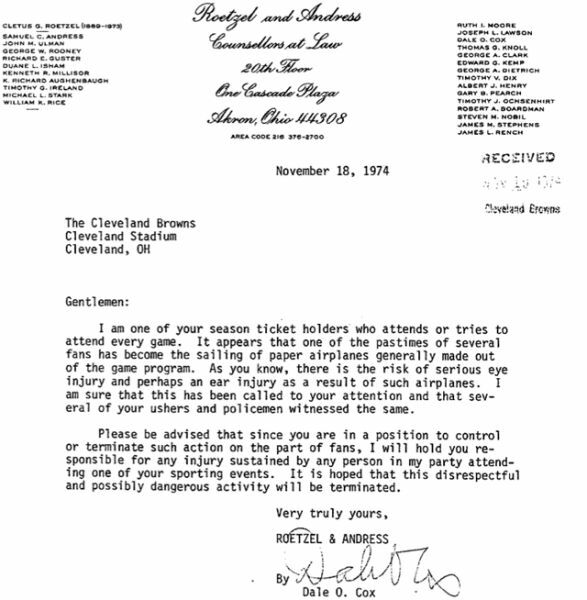 This is a letter written by a Cleveland Browns fan that has a very stupid and funny complaint. He’s not worried about the traffic to and from the stadium, of the refs bad calls during the game. 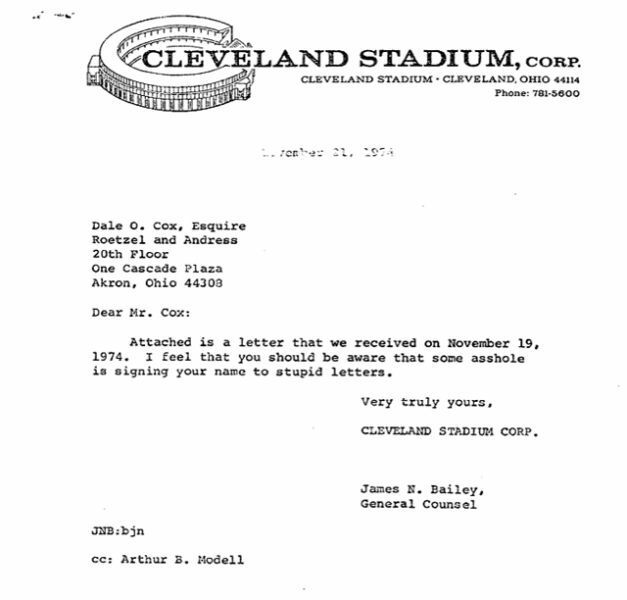 The response from the attorney of the stadium that he got was great.